Discussion in 'Pictures & Stories of My Chickens' started by sonomachicks, Jan 6, 2011. 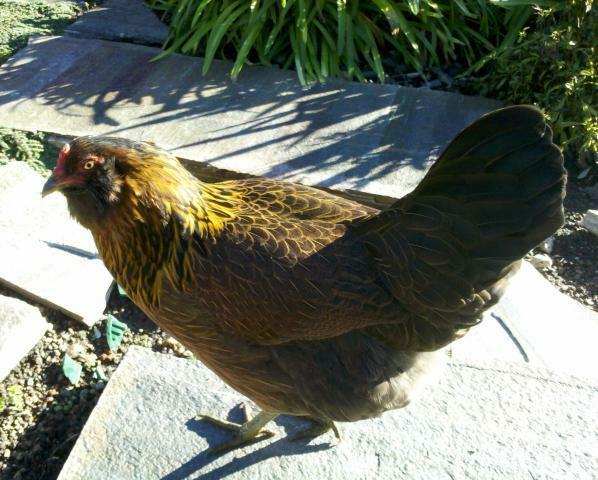 Yesterday, I post my first question regarding our Ameraucana hen who was timid and small. However, last night she was taken by a raccoon. We have three hens 6-7 month old, they always sleep in the little nesting box, and the Ameraucana usually sit at the bottom while the other two on top of her. I guess she was trapped in the little box and was easily grabbed by the raccoon. We lock the pan every night, but don't lock the coop very often, so they could go out in the morning on their own. Somehow the raccoon got in the pan in the middle of night (there was a lose gap which I should have fixed it yesterday). I thought the other hens would defend their friend but they were in shock too apparently. This morning I only saw two hens in the pan from my bedroom window, and knew something went terribly wrong when I saw feathers all over the yard, but we couldn't find any remains of the hen though. It was tragic, specially to my 9 year old son who loves that Ameraucana hen, which was named after my son's favorite hockey player. Lessons are learned, I still can't believe what had happened. Because she was so timid and smaller than the others (older), I've always thought that hen won't live very long, but never thought it would gone that way. So sad. I can only blame on myself not being careful enough. I'm sorry. Has happened to a lot of us, probably most of us. Take care of that gap today!! The varmit will be back for more! im sorry for your loss its always tough to lose a chicken ( at least for me it is) just wanted to let you know that where here for yay! We've fixed that gap this morning. My husband had his pellet gun ready! My son is very upset about it, it was his very first chicken. How can there is no remains of the chicken? Raccoon can gable down a whole chicken without spit any bones? We had a roster a month ago, but we couldn't keep it because we live in the city zone. He could be a good fighter. Well, he might of dragged the hen out, I think I've heard storites of swallowing whole... but did you shoot the racoon?